Value Companies | 2014 NJAA "Management Company of the Year"
2014 NJAA "Management Company of the Year"
Value Companies has added a five-story boutique rental building in Elizabeth, NJ to the burgeoning roster of apartment communities in its Value Asset Management (VAM) Division, according to Jack Linefsky, Vice President of Property Management for the Clifton, NJ-based real estate company. VAM, which provides management capabilities and customized asset solutions to third-party real estate investment and property owner clients, has been retained to oversee the leasing, operations and marketing of the 40-unit property located at 737 North Broad Street, minutes from the New Jersey Transit Train Station in downtown Elizabeth. The building features one- and two-bedroom apartments with over 800 square-feet of living space and a long list of modern features and appointments, including stainless steel appliances, granite countertops, and ceramic floors. 737 North Broad Street was completed in 2017 and recently acquired by its current owner – a private real estate investor. VAM brings the extensive experience of managing a portfolio of more than 3,000 apartment homes across all rental product types and sizes. Headed by CEO and President Andrew Abramson, Value Companies has an outstanding background in property management for more than six decades; and its proven experience and passion for excellence have established the company as one of the northeast’s leading real estate developers, owners and managers. Value Asset Management offers a “hands on” approach, staffing communities with the kind of multifamily professionals, leasing agents and maintenance personnel that have been instrumental in crafting Value’s sterling reputation for customer service and management efficiency. As its corporate name suggests, Value Asset Management also, but not exclusively, specializes in value-add multifamily investments; properties where there are opportunities to redevelop, reposition, or generally improve the fixed assets, curb appeal, resident relations, maintenance operations and other programs that make improving real estate an exercise in community building and value creation such as Dorchester Manor in New Milford and Ridge Park Apartments in North Arlington. Another added bonus is Value’s unique skill set that comes from developing, owning and managing a variety of properties, including large-scale suburban and urban sites and low-and mid-rise buildings. For more information on Value Companies’ third party property management services, please contact the company headquarters at 973-473-2800 or visit www.valuecompanies.com. Value Companies, founded in 1952, is a leading real estate development, investment and management company. Across its development division, Value Companies has embarked in new apartment developments and investments in strategic suburban and urban locations throughout the country. Value’s development success is directly tied to its steadfast commitment and expertise in multifamily housing, and its ability to introduce new housing products that address consumer and community needs. Value’s residential properties are built and managed by a highly-skilled, in-house management team of more than 80 industry professionals which oversee all aspects of Value’s communities, including construction, leasing, maintenance, property management and administration. Value’s third-party management business, Value Asset Management (VAM), provides full-service management capabilities and customized asset solutions to a growing list of third-party real estate investment and property owner clients. Value Companies also received numerous industry awards for its various properties as well as being a 4-time recipient of the New Jersey Apartment Association Management Company of the Year award. Richard Polton (center), developer of The Montclarion at Bay Street Station in downtown Montclair, N.J., accepts the 2018 Excellence Award from the Urban Land Institute-Northern New Jersey. MONTCLAIR, NJ – Urban Land Institute-Northern New Jersey (ULI-NNJ) has awarded The Montclarion at Bay Street Station a 2018 Excellence Award in recognition of the responsible development of the five-story upscale rental building located in downtown Montclair, N.J.
Value Asset Management (VAM), the exclusive leasing and management agent for The Montclarion at Bay Street Station, provided advisory services during the project’s construction. Completed in 2017, The Montclarion at Bay Street Station was designed and built following the highest standards of sustainable development and to significantly benefit the community-at large on the eastern border of downtown Montclair. Located at 125 Bloomfield Street, the LEED Silver-certified building offers a mix of 40 one- and two-bedroom luxury apartments and ground floor retail space, some of which is home to Studio Montclair, a local non-profit organization that hosts exhibits of professional and emerging artists. Designed by Sionas Architecture, the brick and glass building blends perfectly with Montclair’s well-known chic and urban environment. Contemporary, high-end design is extended throughout its interior spaces with a dramatic two-story lobby, bike racks, rooftop patio, exercise room and business center/lounge. There’s also an enclosed two-story garage. The Montclarion at Bay Street Station followed in the footsteps of The Montclarion, a 56-unit rental building originally built in 1985 and recently upgraded. “When conceptualizing The Montclarion at Bay Street Station, we wanted to create an eco-friendly properties that contributed to downtown Montclair by adding shops and services, along with a new customer base for nearby retailers,” Mr. Polton continues. “To accomplish this, we not only used modern green building practices and materials, we also took full advantage of a pedestrian-friendly location New Jersey Transit’s Bay Street train station which dramatically reduced dependence on automobiles for residents and encouraged them to shop locally. Value Asset Management fully executed the leasing program at The Montclarion in short order, validating the desire for an eclectic new rental community near the Bay Street train station connecting to Secaucus Junction, Newark, Hoboken and Penn Station in New York City. There’s also New Jersey Transit Busses available right outside the complex. VAM, a full-service division of Clifton, N.J.-based Value Companies, provides management capabilities and customized asset solutions to third-party real estate investment and property owner clients. The Montclarion at Bay Street Station is one of many assignments the company has in northern New Jersey. VAM has a well-respected track record and proven ability to market ground up Value Asset Management offers a “hands on” approach, staffing communities with the kind of multifamily professionals, leasing agents and maintenance personnel that have been instrumental in crafting Value’s sterling reputation for customer service and management efficiency. As its corporate name suggests, Value Asset Management also, but not exclusively, specializes in value-add multifamily investments; properties where there are opportunities to redevelop, reposition, or generally improve the fixed assets, curb appeal, resident relations, maintenance operations and other programs that make improving real estate an exercise in community building and value creation. Value Companies currently owns and manages a portfolio of 3,226 residential units across fifteen communities located throughout New Jersey and New York. The firm has an outstanding track record in property management since 1952; and its proven experience and passion for excellence have established the company as one of the Northeast’s leading real estate developers, owners and managers. For more information on Value Companies’ third party property management services, please contact the company headquarters at 973-473-2800 or visitwww.valuecompanies.com. 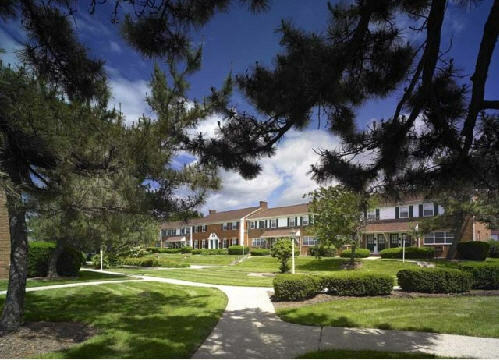 CLIFTON, NJ – Value Asset Management (VAM), a full-service division of the Clifton, N.J.-based Value Companies, Inc., has been retained to oversee the leasing and management of a 100-unit rental community in Somerset County’s Bridgewater Township. The new assignment is indicative of the company’s growing reputation as an industry leader in the operation of a broad range of apartment assets in the New Jersey metro rental market. The ten-acre property — formerly called Woodmont Square at Bridgewater and newly renamed Bridgewater Square — was recently acquired by its owner who immediately called on VAM for its expertise in the management, leasing and marketing of boutique and mid-sized communities. “Bridgewater Square is another example of where Value Companies’ award-winning team of professionals can quickly step in to assist a property owner in the day-to-day management of its assets,” says Jack Linefsky, Vice President of Property Management for Value Companies. CLIFTON, N.J. – The Cure Breast Cancer Foundation’s (CBCF) 11th annual “Pink is the New Green®” Golf Classic once again exceeded it expectations with an impressive $650,000 in funds raised to support breast cancer research efforts under the direction of Dr. Larry Norton, Senior Vice President, Office of the President and the Medical Director of the Evelyn H. Lauder Breast Center at Memorial Sloan-Kettering Cancer Center. Held yearly in June at the Mountain Ridge Country Club in West Caldwell, N.J., the golf outing is continually one of the most successful fundraising efforts of CBCF. 116 golfers participated in the 2018 Classic, which also featured an exciting $18,000 Chip Off and raffle drawing for a brand new Ford Mustang convertible. The festivities concluded with a reception dinner where two hundred guests were addressed by Dr. Larry Norton, the foundation’s scientific advisor, and breast cancer expert Dr. Elizabeth Comen (also from MSKCC). Dr. Philip Paty, a surgical oncologist at MSKCC with special training in cancers of the colon, also spoke to attendees. CBCF’s schedule of fall events includes the annual Valley Goes Pink walk to be held on October 13th at Valley National Bank located at 1460 Valley Road in Wayne, N.J. and the 3rd annual Shootout Breast Cancer Fall Fun Clay Target Shoot on October 6th at the North Jersey Clay Target Club in Fairfield, N.J. Since its inception in December 2007, CBCF has raised an excess of $7 Million through events such as the annual Golf Classic, walk-a-thons, fashion shows and other fundraising activities. CBCF donates 100% of its net fundraising proceeds to support the groundbreaking research of Dr. Larry Norton and colleagues at the Memorial Sloan-Kettering Cancer Center in addition to other national and international cancer research centers initially on the growth and spreading of breast cancer cells, also known as the Self-Seeding Theory and now on the new ideas and discoveries as a direct result of this revolutionary idea. CBCF’s research focuses on improving the understanding of not only breast cancer, but also other cancers. Dr. Norton is a Senior Vice President in the Office of the President of the Memorial Sloan-Kettering Cancer Center and the Medical Director of the Evelyn H. Lauder Breast Center and is leading the fight against breast cancer with his trailblazing work, and has discovered that cancer cell mobility and the interactions between the cancer cell and its microscopic environment are the key pathways to understanding and eventually eradicating breast cancer. For more information on CBCF, please call (973) 471-CBCF (2223), e-mail info@curebreastcancerfoundation.org or visit www.curebreastcancerfoundation.org. The Cure Breast Cancer Foundation (CBCF) is a Clifton, N.J. – based not-for-profit 501(c) 3 charity devoted to fund research on the growth and spreading of breast cancer cells, also known as the Self-Seeding Theory and now on the new ideas and discoveries as a direct result of this revolutionary idea at the Memorial Sloan-Kettering Cancer Center in Manhattan and other national and international cancer research facilities under the direction of Dr. Larry Norton, who serves as the Foundation’s Scientific Advisor. The Founder and President is Carly Abramson. Her father, Andrew B. Abramson, is Treasurer. MONTCLAIR, NJ – The Montclarion at Bay Street Station, a 40-unit apartment building in downtown Montclair, has been awarded LEED® certification from the U.S. Green Building Council (USGBC) for achievement in green homebuilding and design, its developer Richard Polton announced today. Located at 125 Bloomfield Avenue, the five-story building has been LEED certified to the Silver level. The Montclarion at Bay Street Station achieved the recognition by implementing practical and measurable strategies and solutions aimed at achieving high performance in: sustainable site development, water savings, energy efficiency, and indoor environmental quality. The Montclarion at Bay Street Station boasts an ultra-commuter friendly location steps from New Jersey Transit’s Bay Street train station, which dramatically reduces dependence on automobiles. There’s also New Jersey Transit Busses available right outside the complex. The development team also effectively utilized eco-friendly building materials, systems and practices to create a high-performing, environmentally-sensitive residential project that benefitted the community-at-large. “The Montclarion at Bay Street Station is an excellent example of green residential development and we couldn’t be prouder of this all-important achievement,” Mr. Polton says. “To be recognized by the USGBC is a testament to the hard work of a dedicated team of experienced professionals working toward the common goal of responsible design, development and improving the environment. The Montclarion at Bay Street Station features one- and two-bedroom rental residences, including only seven exclusive top-floor Penthouse apartments with expansive outdoor terraces. The brick and glass building blends perfectly with Montclair’s well-known chic and urban environment. Contemporary, high-end design is extended throughout its interior spaces with a dramatic two-story lobby, bike racks, rooftop patio, exercise room and business center/lounge. The project also offers ground floor retail space currently occupied by Studio Montclair, a non-profit organization that hosts exhibits of professional and emerging artist. The Montclarion at Bay Street Station follows in the footsteps of The Montclarion, a 56-unit rental building originally built in 1985 and recently upgraded. The team of professionals that worked on The Montclarion at Bay Street Station included developer Richard Polton, Value Asset Management, Inc. (VAM), its exclusive management and leasing agent and Sionas Architecture, its architect and designer. The Montclarion at Bay Street Station falls in line with a green initiative implemented by VAM throughout its portfolio of homes. The firm, a full-service division of Clifton, N.J.-based Value Companies, has completed programs at many of its existing communities with an eye towards sustainable living, including retrofitting homes with energy-efficient fixtures, adding solar roof panels and converting community parking garage outdoor lighting to LED. Value Companies boasts an impressive portfolio of approximately 3,226 multifamily apartments across fifteen communities in New Jersey and New York. For additional information on The Montclarion at Bay Street Station, please call 973-783-1250 or visit http://www.montclarion-apts.com. CLIFTON, NJ – Value Companies’ Craig Hintzen turned in yet another impressive performance during the New Jersey Apartment Association’s (NJAA) 10th annual Maintenance Mania® competition recently held in the Collins Area at Brookdale Community College in Lincroft, NJ. Mr. Hintzen of Arla Apartments in Nutley, N.J. took home top 3 finishes in five categories, including 3rd Place Overall in the National Championship Qualifying program. Mr. Hintzen’s impressive showing makes him a top finisher in the overall competition for several years running. He was joined by Value Companies’ Edwin Olivero (7th Overall) of Sutton Hill Apartments and Junior Garcia-Tavares (10th Overall) of Saddle Brook Apartments as top 10 finishers for the National Championship. Value Companies’ personnel also performed well in individual contests with Andrzej Sienko of Crestview Apartments taking home a top 3 finish in the events Race Car Category. Held yearly in March, Maintenance Mania is a competition between maintenance professionals from some of the most well-known national apartment owners and managers in various skill-based table games centered on common maintenance activities. “This will be Craig fifth time representing New Jersey and the Northeast at the National Maintenance Mania competition, a testament to his dedication to resident service and desire to expand his knowledge and technique by keeping up with the latest maintenance methods,” says Jack Linefsky, Vice President of Property Management for Value Companies. Value’s residential properties are built and managed by a highly-skilled, in-house management team of more than 80 industry professionals which oversee all aspects of Value’s communities, including construction, leasing, maintenance, property management and administration. Value’s third-party management business, Value Asset Management (VAM), provides full-service management capabilities and customized asset solutions to a growing list of third-party real estate investment and property owner clients. Value Companies also received numerous industry awards for its various properties as well as being a 3-time recipient of the New Jersey Apartment Association Management Company of the Year award. 44 Main is now fully leased, according to Value Asset Management (VAM), the exclusive leasing and management agent for the downtown Little Falls rental building. The first new construction multi-family rental building to be introduced in this Passaic County township in a generation, the collection of 34 one- and two-bedroom luxury apartments achieved the 100% leased mark a few short months after its official fall debut. The quick execution of the leasing program at 44 Main is clear evidence of the strengthening appetite for urban-style living throughout New Jersey’s downtown districts, indicates Jack Linefsky, Vice President of Property Management for VAM. “There’s unquestionably a growing desire to live in walkable locations with easy access to mass transportation, and it’s not limited to larger cities such as Hoboken and Jersey City,” Mr. Linefsky says. “Today’s renters are also turning to municipalities just outside New York City’s immediate suburbs where they can find a similar urban-infused environment at much more competitive pricing. Gateways is a distinctive, award-winning community. Here the architecture of each apartment court reflects the style of another country in an earlier time. Whether Classical Greek or Early American, European or Western, one thing never varies at Gateways - your quality of living. Gateways at Randolph is ideally located within Morris County, close to shopping, dining, and recreation. Nearby parks feature camping, boating, and fishing. Located on 44 Center Grove Road in Randolph, New Jersey. Cure Breast Cancer Foundation (CBCF) is a 501(c)(3) not-for-profit organization created to raise money for breast cancer research under the direction of noted oncologist, Dr. Larry Norton, at the world-renowned Memorial Sloan-Kettering Cancer Center and other national and international research facilities.